Well, there are times, when you literally do not wish to give your primary email address to every person and company you come into contact with or demands for one! For this reason, you cannot go signing up for different email addresses on the internet and render verification to each of it! So, what could be done… the answer is here! You can avail the benefits of temporary email address. Yes, these are temporary, throwaway email addresses which can be used for a small span of time. It doesn’t just prevent you from avoiding spams and protecting your online privacy from invasion, but also helps you secure your primary email ID for important usage only. 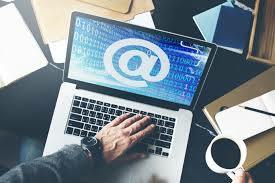 In the present scenario, whenever you surf online, there are some or the other sites demanding for your email address for verification, newsletter or information emails. Thus, a disposable email address is what you really desire at that point of time. With a temporary email address, you can easily register for any app or site and then get rid of it. Well, sharing your email address and personal info is completely your choice and surely no one on the internet has the power to invade it. With EmailonDeck, you get the freedom to get a temp email in just two easy steps. The best thing about it is that it available for free! It safeguards your privacy and prevents your inbox from receiving spams. So, why not get a temporary email ID without paying for it or getting any other verification issues. It is simply awesome and works really well. Try it out and you’ll experience the pleasure of witnessing your primary email as a spam-free email! People from all across the world can use it and avail its benefits! Just go for it.